Without a suitable hat you might be forced to walk the plank! 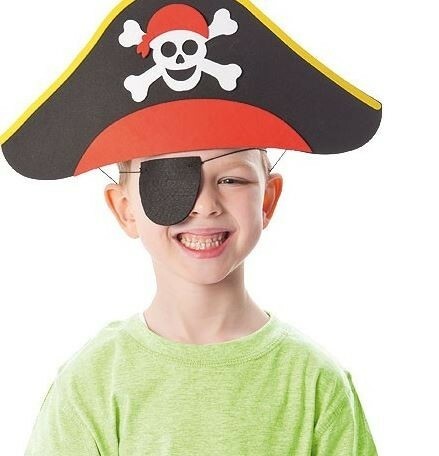 Fun foam hat and matching felt eye patch to make and wear. 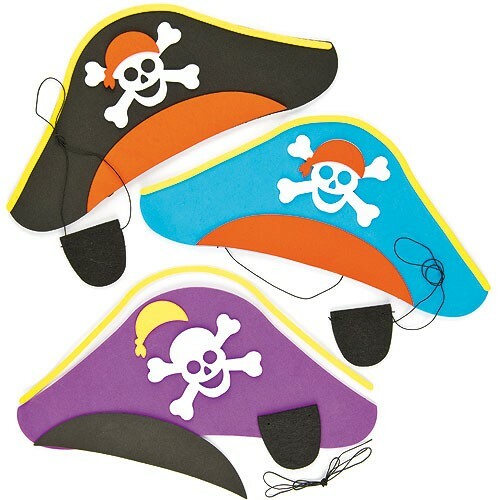 Includes pre-cut foam base, self-adhesive decorations, elastic and felt eye-patch. 3 assorted. Approx. 35cm wide. Age 5+.